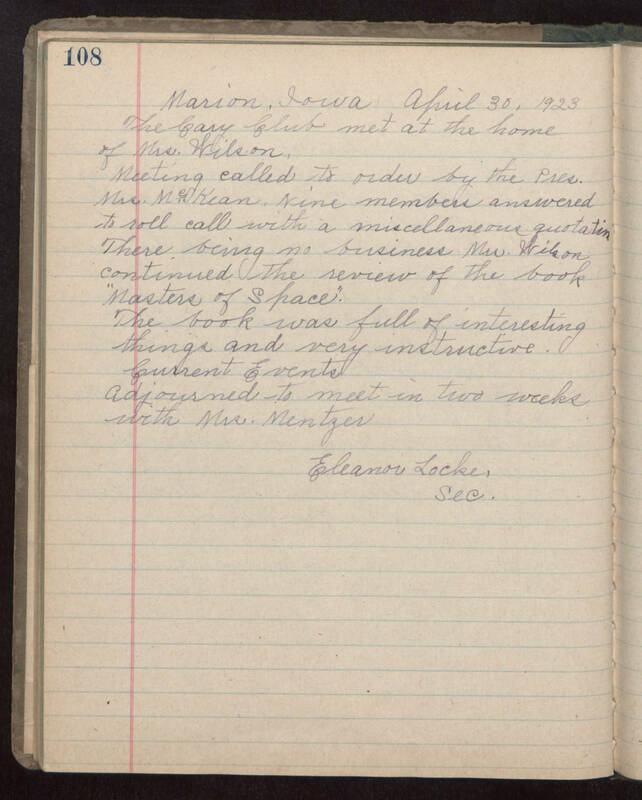 Marion, Iowa April 30, 1923 The Cary Club met at the home of Mrs. Wilson, Meeting called to order by the President Mrs. McKean, nine members answered to roll call with a miscellaneous quotation. There being no buisness Mrs. Wilson continued the review of the book "Masters of Space". The book was full of interesting things and very instructive. Current Events: adjourned to meet in two weeks with Mrs. Mentzer Eleanor Locke, sec.